We assist organizations with legal documentation (e.g. 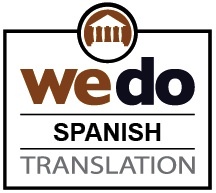 Contracts, Transfer Agreements, Certificates of Accuracy, Witness Statements, Depositions, Affidavits, Sworn Statements, Trusts, Wills, Articles of Incorporation, Legal Decisions, Court Transcripts, Litigation Documents, Immigration Documents, Evidentiary Documents) that are written in the English or Spanish languages and require accurate translation into French. 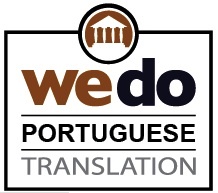 Our translators, editors and proofreaders render well-written and clearly understandable texts. We place a high value on rendering a finished product that is faithful to the cultural nuances of the target language text, where such may apply. We assist businesses in finding the best available French to English and French to Spanish legal language translation resources – including experienced French language translators (native-speaking French if appropriate or required). In our experience, a French language native-speaker may not necessarily be the right translator for the job. (See: Common myths and misconceptions about translation.) 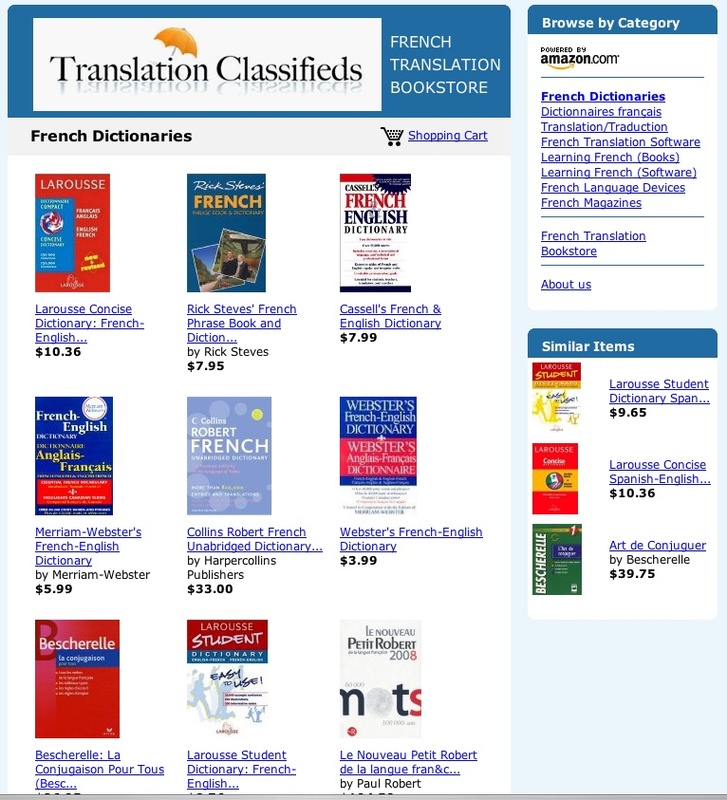 Though a native-speaker may be preferable for certain translation assignments, having French as a native language may not 'translate into' French language expertise (pun intended). An experienced linguist with strong Spanish and French or English and French language translation credentials, in-depth experience and professional credentials, regardless of native language, may often prove to be a better choice. In a nutshell, we use professional translators who have a solid mastery of the French language (grammar, spelling, cultural nuances) and a solid understanding of the subject matter. If we cannot secure the appropriate resources, we will do our best to refer you to French legal translation sources of information that we have confidence in. 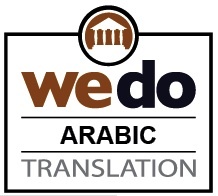 In addition to providing translation services from a any language into the French language, we can also assist you with the translation of French language material into the world's most popular languages: French to Chinese; French to Arabic; French to German; French to Japanese; French to Portuguese; French to Russian; French to Korean; French to Italian; French to Hindi; to name but the most popular.... We can source translation expertise for virtually any language pair. 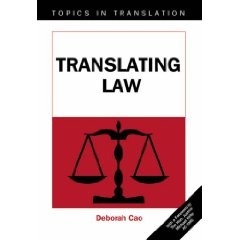 The book examines legal translation in its many facets from an interdisciplinary perspective, covering both theoretical and practical grounds and linguistic as well as legal issues. It analyses the basic skills and competence of the legal translator and various types of legal texts and is useful for translators, lawyers, linguistic and legal scholars and other professionals working in bilingual/multilingual legal context. "Law has a vital part to play in reinforcing communication between nations and peoples. Building the international rule of law is a mighty challenge for the 21st century. We cannot achieve this goal by simply talking away to ourselves, confined within in our own legal jurisdictions and linguistic groups. We must cross the barriers of language. For this we need expert translators of language. And, as Dr Cao points out, we must also be ready to cross the barriers erected by history, culture and institutions. We must hope that when the bridges of understanding are built, there will yet be sufficient commonality to bind humanity together. Law has a part to play in the achievement of this goal. That is why this book addresses a problem of great importance for the future of law and life on this planet." "Legal translation is the translation of texts within the field of law." Most forms of legal writing, and contracts in particular, seek to establish clearly defined rights and duties for certain parties. We ensure that the rights and duties outlined in the source text are accurately reflected in the destination language. Documents that fall within the ambit of legal translation run the gamut of: Contracts, Transfer Agreements, Certificates of Accuracy, Witness Statements, Depositions, Affidavits, Sworn Statements, Trusts, Wills, Articles of Incorporation, Legal Decisions, Court Transcripts, Litigation Documents, Immigration Documents (e.g. Evidentiary Documents -- see also Certified Translation), Tender Documents, Legislation, By-Laws... and the list goes on. Aside from the lack of terminological material or gaps in reference material, "textual conventions in the source language are often culture-dependent and may not correspond to conventions in the target culture. Linguistic structures that are often found in the source language have no direct equivalent structures in the target language." Therefore, part of the task of the freelance translators who undertake 'legal' translation assignments is to find target language structures with the same functions as those in the source language. It follows from all of the above that there is a legal burden all its own when it comes to undertaking legal translation assignments. There is an added dimension to this burden, one that is economic. It's not unusual for a translation of a few thousand words that may be 'worth' only a few hundred dollars to have commercial implications that are completely out of proportion to the dollar value of the work performed. As an example, a mangled translation of a French language tender into English could conceivably have a negative impact on the submitter's understanding of the tender's requirements and the response submitted. A contract worth hundreds of thousands of dollars may hang in the balance. Clearly, there is a responsibility on the part of the translation client to convey the relative importance of accuracy with respect to the translation required. (It's not unusual for some clients to state that they only want a 'rough' translation for 'general understanding' purposes in order to save on the premium cost that a higher level of legal translation expertise may command.) It's important that clients convey their expectations clearly when they are seeking the lowest price possible. Small wonder that we have developed our own Disclaimer of Liability to mitigate the risks associated with our undertaking such assignments. See our Business Terms of Service and more specifically, the Disclaimer of Liability clause that applies to all projects we undertake. For further information, see: Šarcevic, Susan (2000). Legal translation and translation theory: a receiver-oriented approach. University of Rijeka. Uncertainty, linguistic or otherwise, may lead to legal disputes. More complications are likely to arise when more than one language is involved. Inter-lingual uncertainty such as ambiguity, vagueness and other meaning indeterminacy is an area that has not received sufficient attention, in particular with regard to language used in law. This essay focuses on inter-lingual uncertainty with specific reference to legislative texts. It identifies three sources of gap in meaning in bilingual and multilingual laws, and discusses how the courts in Canada, Hong Kong and the European Court of Justice approach and construe meaning in such cases of linguistic uncertainty. It argues that judicial interpretation in the case of linguistic uncertainty is unique and is constrained by established laws, statutory interpretive rules, policy and other considerations. This is particularly the case for bilingual and multilingual law for the reconciliation of legal meanings and harmonisation of laws. The court has to resolve linguistic uncertainties to provide the uniform interpretation that the law requires. 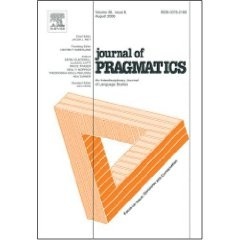 This has implications for the study of legal language, legal translation and pragmatics.